NEW YORK -- Grab some popcorn - AT&T wants to take you to the movies. At least that’s the word on Wall Street after several reports citing unnamed sources said the giant phone company is in advanced talks to buy Time Warner, owner of the Warner Bros. movie studio as well as HBO and CNN. AT&T is said to be offering $80 billion or more, a massive deal that would shake up the media landscape. The acquisition would combine a telecom giant with a leading cellphone business, DirecTV and internet service with the company behind some of the world’s most popular entertainment, including “Game of Thrones,” ‘’The Big Bang Theory” and professional basketball. It would be the latest in a scramble of tie-ups between the owners of digital distribution networks - think cable and phone companies - and entertainment and news providers, all aimed at shoring up businesses upended by the internet. The Wall Street Journal reported Saturday that the boards of AT&T and Time Warner were meeting to approve the deal. An AT&T spokesman told CBS News the company had no comment. Regulators would have to sign off on the deal. Shares of AT&T, as is typical of acquirers in large deals, fell on the reports, ending Friday down 3 percent. Companies that provide phone and internet connections are investing in media to find new revenue sources and ensure they don’t get relegated to being just “dumb pipes.” Verizon bought AOL last year and has now proposed a deal for Yahoo to build a digital-ad business. Comcast bought NBCUniversal in 2011. AT&T has been active, too. After its attempt to buy wireless competitor T-Mobile was scrapped in 2011 following opposition from regulators, the company doubled down on television by purchasing satellite-TV company DirecTV for $48.5 billion. AT&T is expected to offer a streaming TV package, DirecTV Now, by the end of the year, aimed at people who have dropped their cable subscriptions or never had one. The pressure on AT&T has been intense. The venerable phone company with roots back to Alexander Graham Bell has to contend with slowing growth in wireless services, given that most Americans already have smartphones, and it faces new competitors for that business from cable companies. Comcast plans to launch a cellphone service for its customers next year. 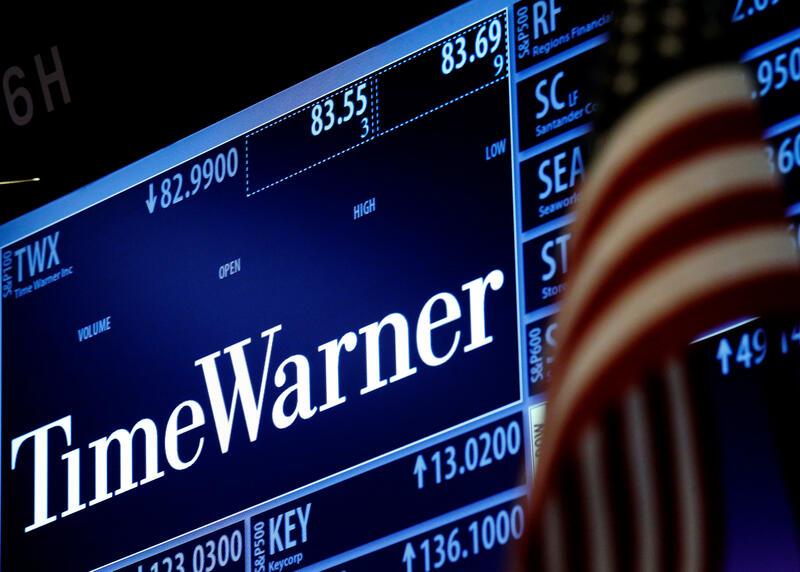 Buying Time Warner may be “a good defensive move” against Comcast as the cable giant continues stretching into new businesses, New Street Research analyst Jonathan Chaplin said in a Friday note. Comcast bought movie studio DreamWorks Animation in August. Several analysts say the AT&T deal will likely face opposition from Washington. John Bergmayer of the public-interest group Public Knowledge, which often criticizes media consolidation, warned of harm to consumers. For example, he said AT&T might refuse to carry channels that could compete with Time Warner’s networks. Or on its phones, AT&T could let wireless customers watch TV and movies from Time Warner without using their data, in turn disfavoring video from other providers. If the deal is approved, regulatory conditions could limit AT&T’s ability to favor Time Warner video or give AT&T customers better deals. It would be one of the largest media mergers since Time Warner’s disastrous sale to AOL in 2000. Time Warner, meanwhile, has moved to counter the threat that sliding cable subscriptions poses to its business. Among other things, it launched a streaming version of HBO for cord-cutters and, alongside an investment in internet TV provider Hulu, added its networks to Hulu’s live-TV service that’s expected next year. Before reports last week of a possible deal with AT&T, Time Warner’s stock had risen 23 percent this year, outpacing the Standard & Poor’s 500.